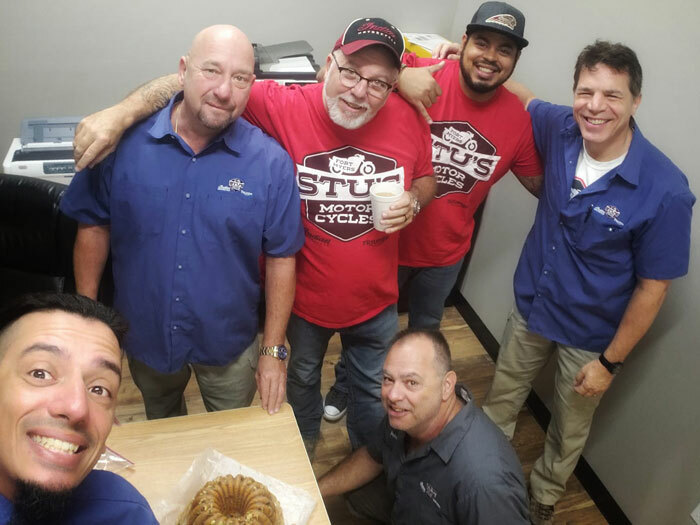 Stu’s Motorcycles is a team of dedicated and experienced motorcycle enthusiasts located in Fort Myers, Florida. Motorcycles aren’t just what we sell — they’re what we do. Each member of our team shares a deep knowledge of our lineup. We’ll put this expertise on your side as we help you find the bike that perfectly matches your needs. If you’re looking for the top-quality motorcycles, we’re your choice. We have a wide selection of classic options from Indian and Triumph, like the Triumph Speedmaster, Triumph Bonneville Bobber, and Indian Scout. Check out our current motorcycles for sale in Fort Myers. Selection is just the start. We also work to provide the best possible dealership experience at every stage of the buying process. We can help you maintain your motorcycle. Our service technicians know our models inside and out and can take care of nearly all repairs. Visit us Fort Myers to start your search for your next Triumph or Indian motorcycle. If you have any questions, feel free to contact us at .